Woofers, Tweeters…..no, I am not talking about the animal kingdom. I am talking about sound systems. Today’s cars are equipped with audio systems that are nothing like the early radios. 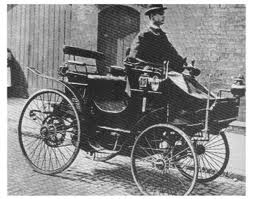 During the early days, driving was a silent affair, aside from the noise of the engine or your wife’s incessant chatter. So, where did it all start? The first car radio was fitted to the passenger door of a Ford Model-T by 18 year old George Frost in 1922. In November that year, the first radio was installed in a Daimler limousine by the Marconi-phone company and displayed at the Olympia Motor Show in London, England. In 1930, Paul and Joseph Galvin, along with William Lear, developed the first automobile dashboard radio and named it the “Motorola,” or motorized Victrola. This monophonic AM radio made its first appearance in a Studebaker. 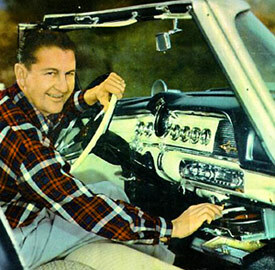 It was not until the early 1950’s that Blaupunkt introduced the first automotive FM radio. These early noise makers were primitive to say the least, and in most cases, the sound quality left a lot to be desired. It is tough to phantom, but it was not until 1960s that drivers could actually control which songs they listened to. Chrysler’s solution to the problem was to offer customers an in-car phonograph. Yep, you heard right! With the flip of a switch, the player bypassed the radio tuner, and the radios amplifier then could boost the signal from the player while volume, tone and balance could be controlled by the regular radio knobs. One or two small problems…keeping the needle on the record and safely operating the unit while driving. If you ordered the option for your new 1956 Chrysler, Desoto, Dodge or Plymouth you also received the first six of 42 special platters available exclusively from Columbia records. Another small issue…you could only listen to artists under contract with Columbia. Double Dang! Needless to say, the automobile sound system installed in today’s vehicles has come a long way from those early dinosaurs. These new systems offer 12 channel Class D amplifiers and up to 18 speakers delivering the ultimate in listening pleasure to the entire cabin of your vehicle. Stop by Peterson Dodge Chrysler Jeep Ram to experience the difference. I double dog dare ya!